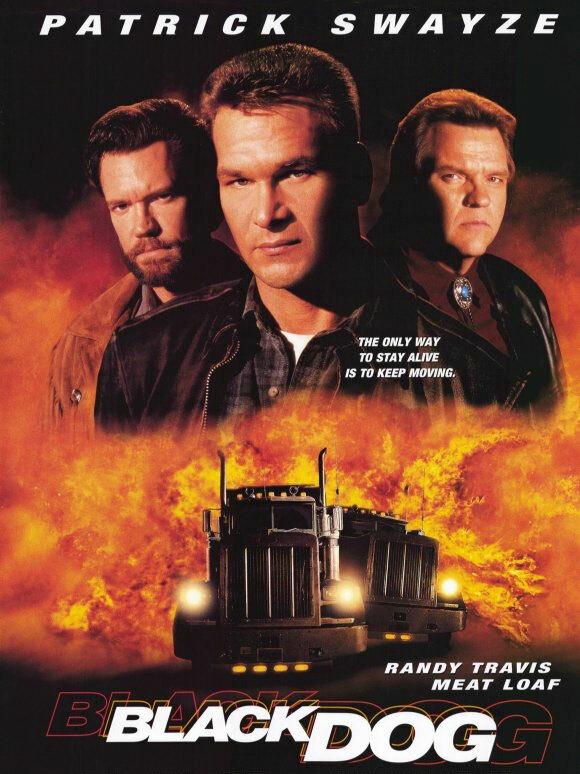 A trucker action movie along the lines of “Over the Top” but without the arm wrestling. 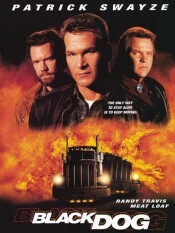 Patrick Swayze, Randy Travis and Meatloaf (oh my) prove that if you wreck a car… it will explode. 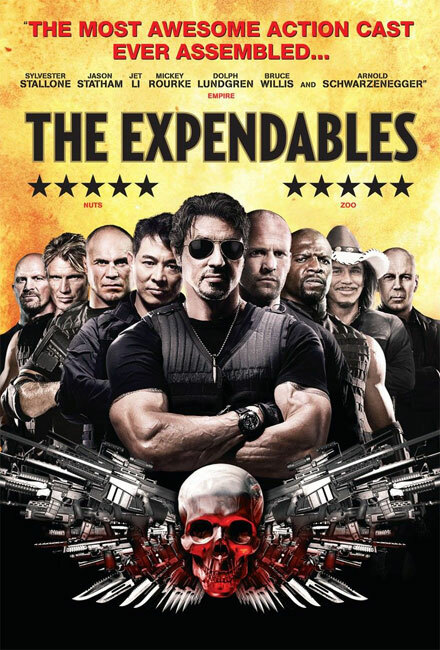 The Expendables cast is made up of the action stars that are known by last names – Stallone, Statham, Li, Willis, Schwarzenegger, Lundgren & Rourke. This was to be the greatest movie of all time. Surely with this many stars it would be a hit. It was recently added to Netflix and I’ve taken another look. There are some fine scenes, but some of the promise is not fulfilled. Willis and Schwarzenegger are cameo’s and there are so many stars that only a few of the characters are developed. The quality of the effects are great, but the fast cuts between clips make me feel that they are hiding something. Stallone’s hold onto a plane as it takes off is amazingly unbelievable, and reminiscent of the finger strength first displayed in Cliffhanger. 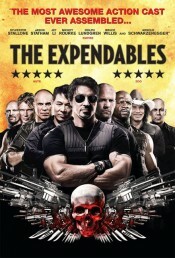 The Expendables is a great 3 star movie, but didn’t reach my 5 star dreams. I remember Death Race. The way that the main character was set up so he would be sent to prison and have to compete in a… Death Race. 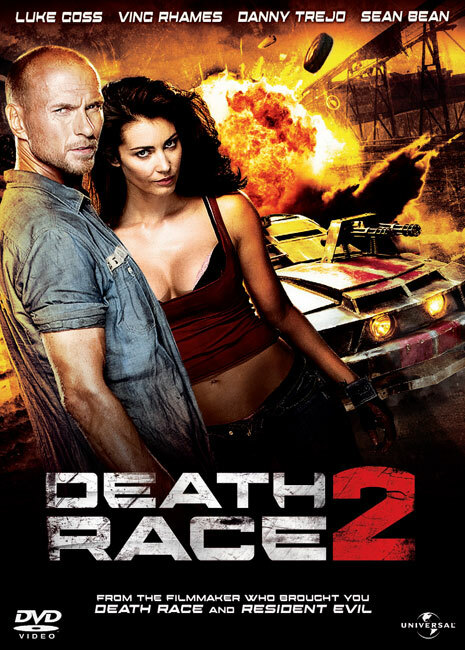 Death Race 2 is a prequel to Death Race that was sent directly to the DVD. The prisons have been privatized, and are airing prison fights called a Death Match. As with the original movie, these matches are all about ratings, and to keep things fresh they eventually evolve into a race. Didn’t follow the issue with crime in the beginning. Luke did commit a crime. During the first race the racers are shown posing with the cars that they just picked out. This is impossible, especially for those that don’t survive the race. Special effects are ok, but sometimes they aren’t quite right.  The story is rough, but the action is solid and it provides the story for how Death Race came to be. For the love of the original, I grant you 3 stars. 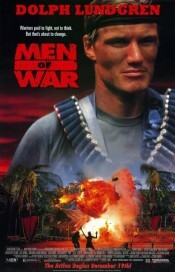 Men of War begins with Nick Gunner (Dolph) on the streets of Chicago. He is approached to complete an easy job and collects his rag tag assortment of mercenary buddies, giving a glimpse of their character and civilian lives. It is never explained where the lady mercenary came from, or why she was in this movie. Lot’s of bad jokes, punching and shooting qualifies this in the genre. A surprise starring role by B.D. Wong (Oz, Law & Order SVU), makes this a novel movie to watch, but the poor character development and the fact that it never seems to end result in a 2 star rating. Dolph begins “Direct Contact” in an Eastern European prison. Is this going to be an homage to the Van Damme prison movie “Hell”? Longer answer – No it is not. In a very Rambo-esque turn of events, someone from the US government needs Dolph’s help to break into a small fortress and rescue a kidnapped girl. 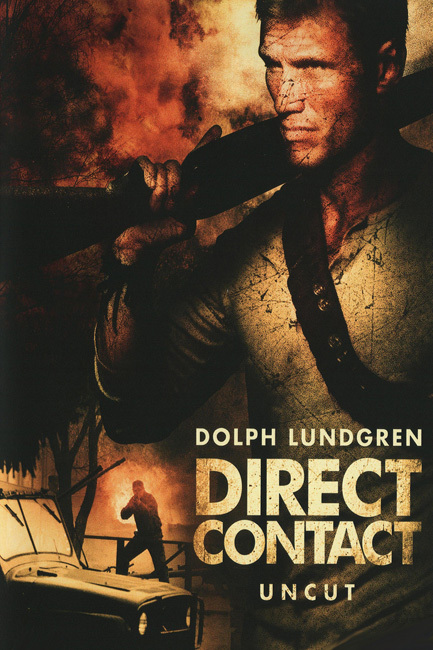 Unlike Rambo, Dolph doesn’t just want his freedom from prison, but also negotiates payment. The joy of the breakout is that Dolph will engage in a 10 minute hand fight, and then just shoot the next guy that comes along. But this is where Direct Contact throws you a loop. It seems the girl wasn’t kidnapped, and the government rep that freed Dolph from prison wasn’t with the government. This is when our star has to freelance a plan of action and Direct Contact get interesting. Dolph takes us through many car chases and gun fights. A love scene in a barn is questionable. This isn’t Roadhouse. Driving means continuously turning the wheel back and forth. This isn’t a great Dolph Lundgren movie, but it is currently available to stream through Netflix. Iron Eagle is the story of an Air Force brat whose father has been shot down and held hostage in a foreign land. Some teenagers might wait for our government to negotiate, but metal-loving Doug Masters knows this is a waste of time. Masters and his band of teenage friends plan a mission that involves stealing a plane and invading a country. 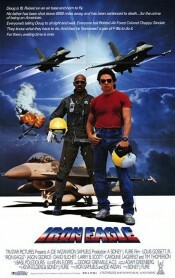 A similar idea was explored in the same year in the movie “Let’s Get Harry”, but with less Airplanes, teenagers and 80’s rock. a small plane and dirt bike race proves that they travel at the same speed. © 2019 Bad Action Movies. All rights reserved.